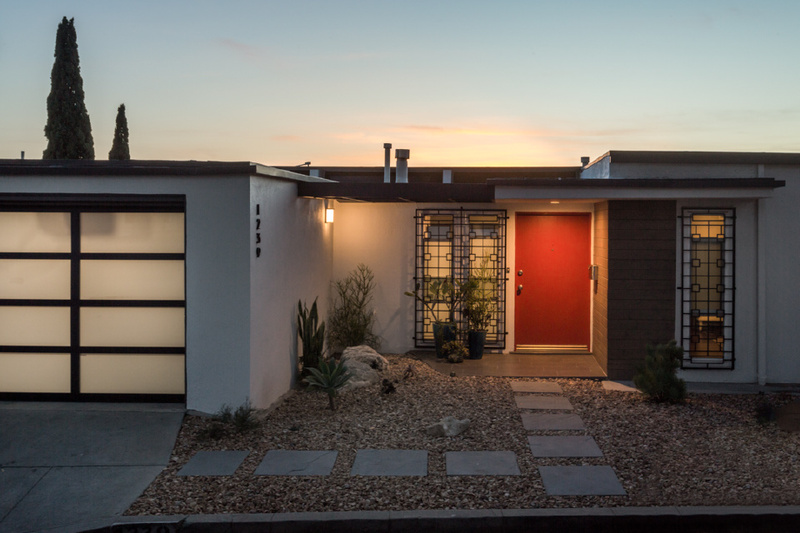 This three bedroom, two bathroom Mid-Century Modern home is perched atop the soaring Adams Hill neighborhood of Glendale offering commanding 180 degree unobstructed views. The open floor plan is an entertainer's dream with million-dollar city views and beyond. The kitchen offers built-in appliances, clean white cabinetry and stone counter tops. Two sizable bedrooms and an updated full bathroom complete the main level. The lower level features a spacious family room with raised ceilings and phenomenal views, den, third bedroom and ¾ bathroom. This area is ideal for extended family. Additional amenities include laundry room with an abundance of storage and two car attached garage. Conveniently located close to Silver Lake, the Americana, DTLA, freeways, shopping and restaurants. Glendale Schools. Offered at $1,049,000.